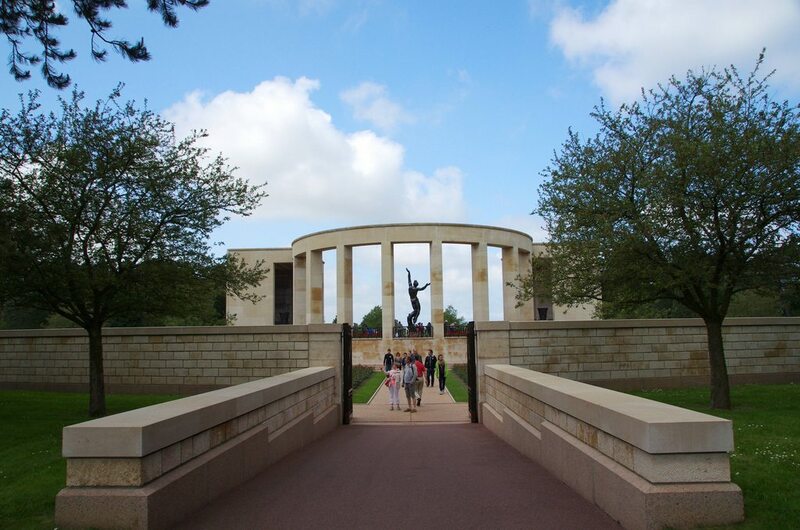 This is a continuation of my previous post about the Normandy American Cemetery & Memorial. 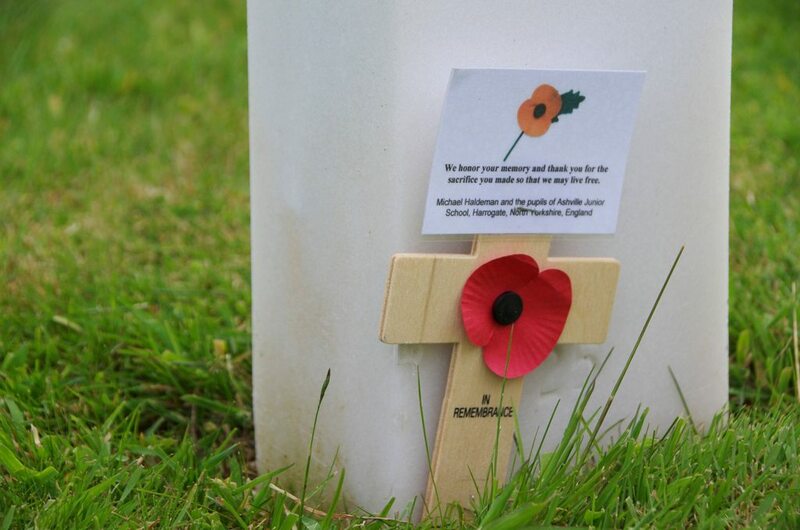 The first post focused on the memorial, and this post focuses on the cemetery. 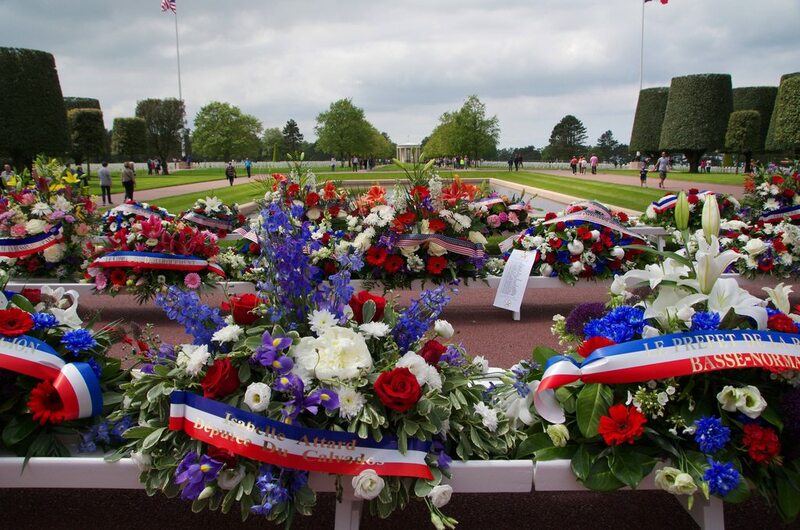 There are a total of 9,387 Americans buried in the Normandy American Cemetery. Of those, 307 people are unidentified. The cemetery covers 172 acres. 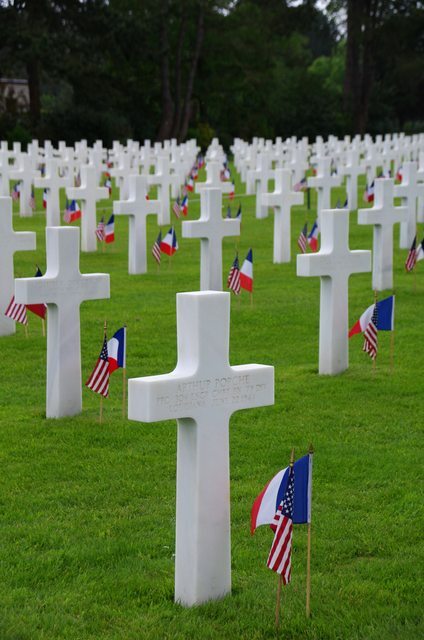 France gave the United States a perpetual concession to the land occupied by the cemetery (free of charge and taxes), over which the American flag flies. 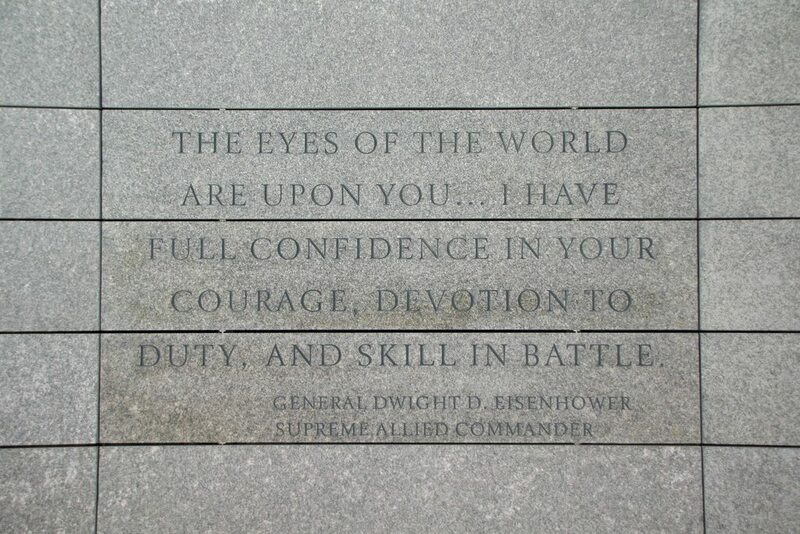 I felt so many different emotions as we wandered through the cemetery — sadness for the lives lost, anger, awe at the amount of love and appreciation still being poured out by the people visiting the cemetery, and ultimately admiration at the selflessness of all of the Allies who fought during WWII. It definitely made me proud to see so many American flags flying in a foreign country. We were lucky enough to visit the cemetery on the day before Memorial Day, so I’m unsure whether or not this large quantity of flower arrangements is there daily or if this was something special because of Memorial Day. Our first stop when we got to the cemetery was the visitors center. The visitors center contains many exhibits — we easily could have spent more time looking at all of the exhibits. 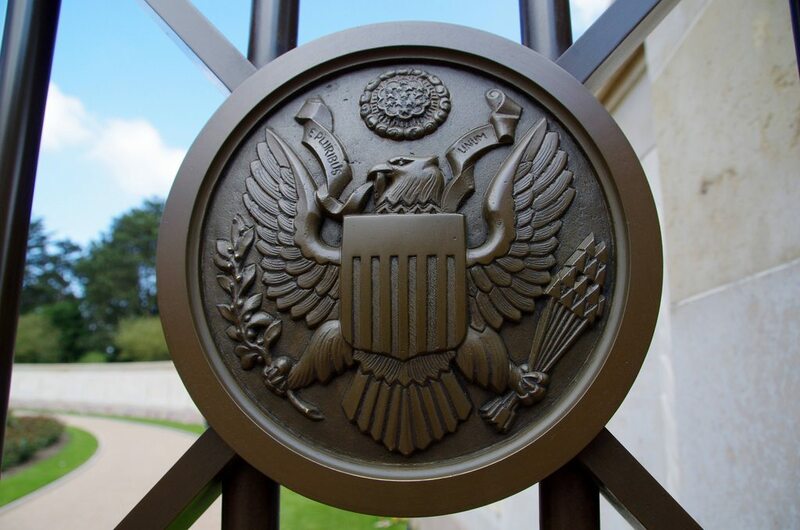 My favorite part of the visitors center was the video (you can watch it here), that included stories about 5 or so men who are buried in the Normandy American Cemetery. One part of the video in particular stuck in my mind — a young bride was adamant that her husband’s body be brought home to the U.S.. 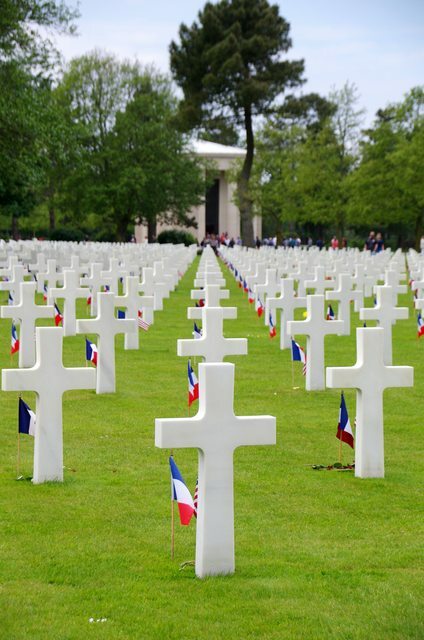 Her husband’s brother was being interviewed, and he remembered telling her that she should let him be buried in Normandy because, “he earned that patch of land.” After the video was over we walked down to Omaha Beach and then walked back up to the cemetery to walk among the graves of our American heroes. 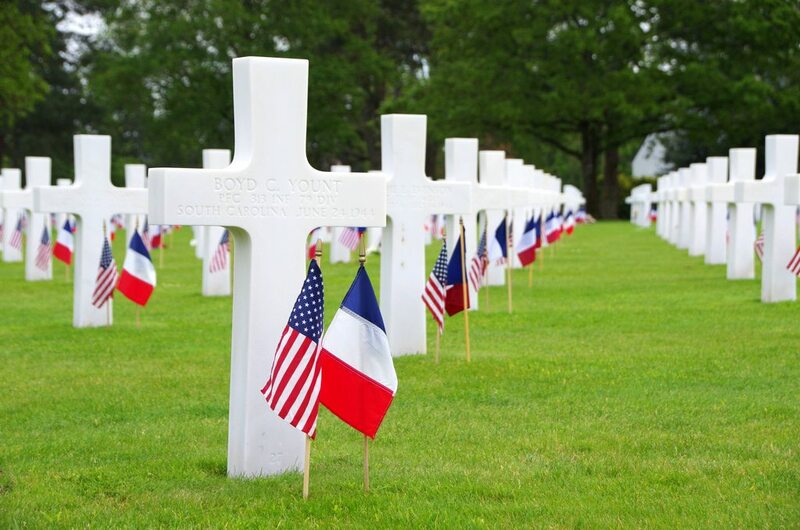 One thing that I learned in Normandy without a doubt is that they still remember the sacrifices…and to me, that makes the loss of life a little easier to swallow. 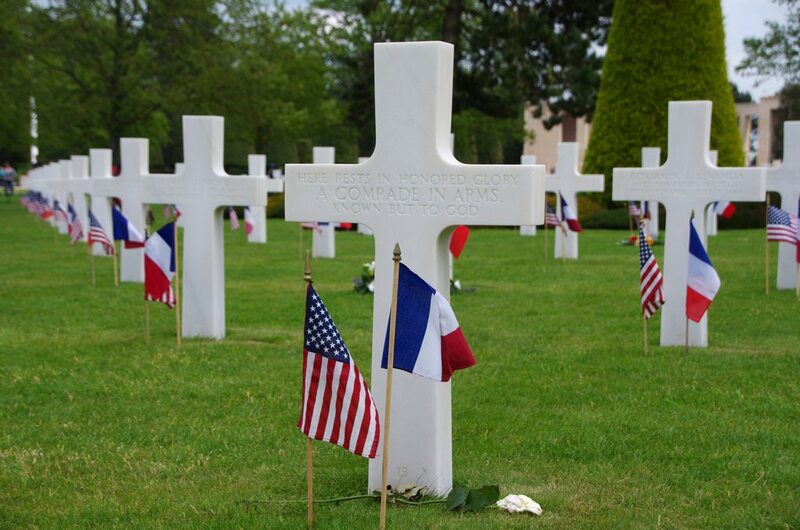 We saw flowers and small, wooden crosses with paper poppies on them frequently during our time in Normandy. It really touched me to see so many visual symbols of their appreciation. 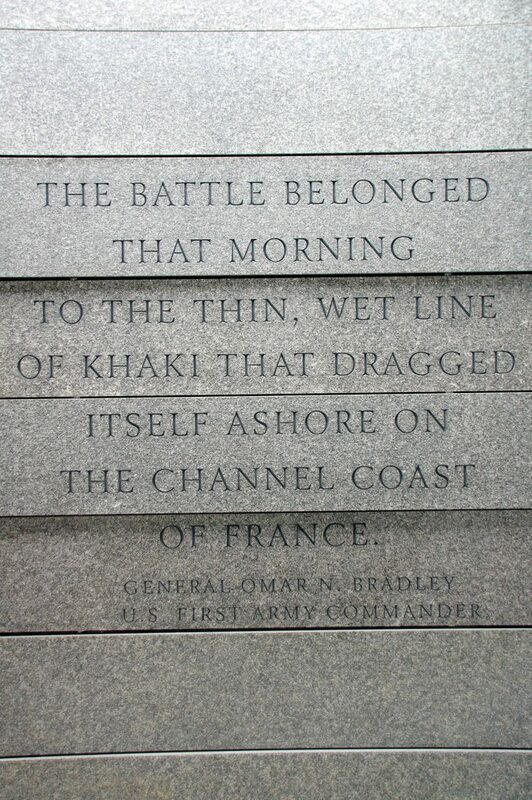 I wish that there were some way that all Americans could visit Normandy, but I know that just isn’t possible. I hope that my photographs help give everyone a better picture of the cemetery and help to remember all of the members of the greatest generation lost during WWII. I had a really difficult time narrowing down which photographs to include in this post, so I decided that it would be best to split this into two posts. 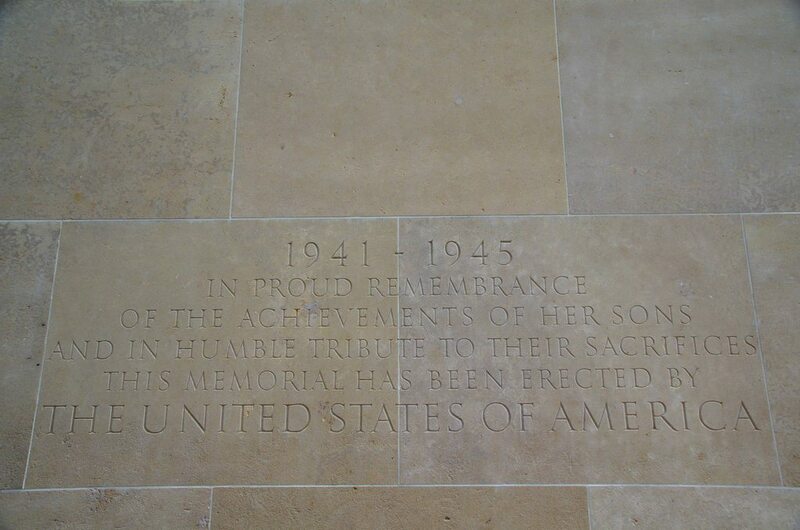 This one will focus on the memorial and a subsequent post will focus on the cemetery. 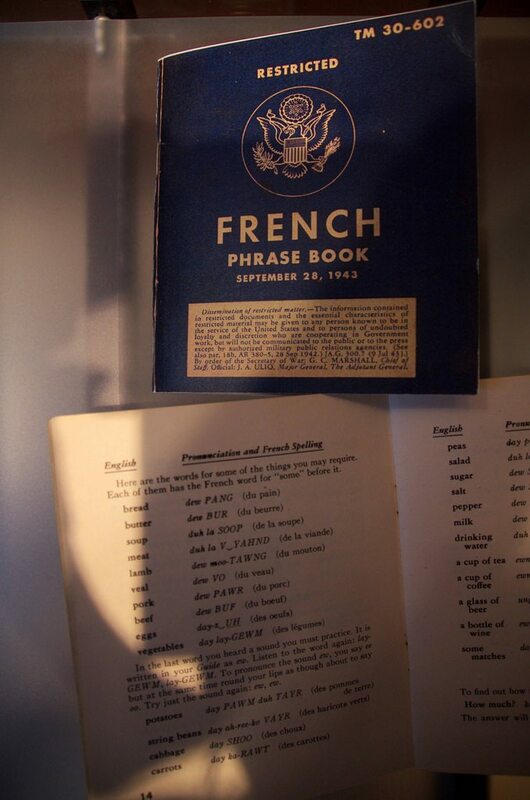 The French phrase book shown below was also in a photograph of two American soldiers hanging in the hallway on the second floor of Churchill Hotel in Bayeux. Being the curious bookworm that I am, I wanted to see the inside of one of these books. I ended up buying one on eBay. 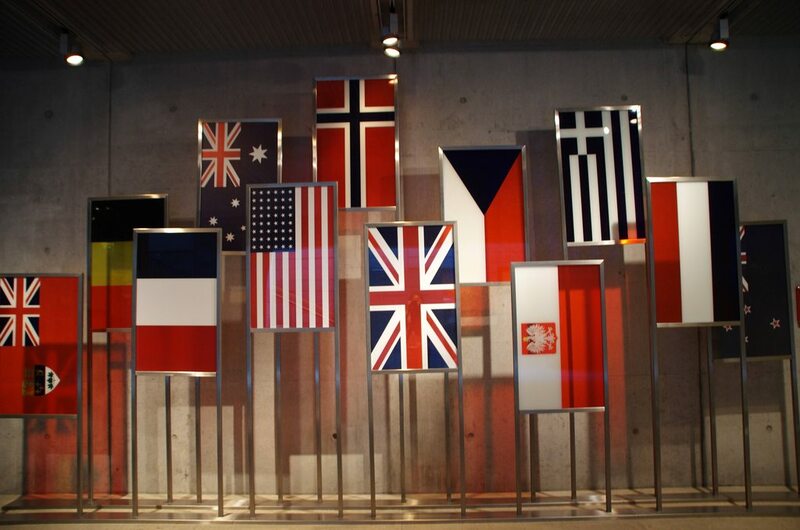 A war-time language phrasebook is quite different from a phrasebook intended for travelers. In addition to normal phrase book contents, this WWII phrase book also contains sections on reconnaissance, landing a plane, weapons and ammunition, and tools and supplies. The garden walls, below, (The Walls of the Missing) contain the names of men who are missing in action. In some instances, there are bronze buttons next to the names. The buttons indicate the few men whose remains have been found. The walls contain the names of 1,557 men.